In 2017, Universal was going to start its own cinematic universe with their classic monsters. The Tom Cruise led "The Mummy" was going to be the starting point for a host of intersecting stories involving the famous monsters. We only ever saw Russell Crowe as Dr. Jekyll and Tom Cruise as some kind of undead mummy like guy and Sofia Boutella as a female mummy. Johnny Depp was set to play The Invisible Man, Javier Bardem was set to play The Frankenstein Monster, and there was some talk that Dwayne "The Rock" Johnson would be the Wolf Man. Angelina Jolie was desired to play the Bride of Frankenstein and Scarlet Johansson was in talks for a lead role in a Creature From The Black Lagoon movie. Here's the thing..."The Mummy" messed up bad. Real bad. I saw the movie. I hated the movie. They didn't need to turn their monsters into some kind of superheroes. Or maybe they were going to be villains? "The Mummy" was unclear about that fact. But its more than that though, there was a different tone to "The Mummy" seemingly every five minutes. Was this a horror movie? An adventure movie a la the 1999 Brendan Fraser movie? Was this a strange riff on "American Werewolf in London?" It was pretty unclear what the movie was, but it was a strange experience, and if you saw it, you probably agreed. this interconnected universe, which Universal called The Dark Universe, never moved forward after "The Mummy" huge failure. But apparently Universal is still determined to make a modern spin on their old-school monsters. 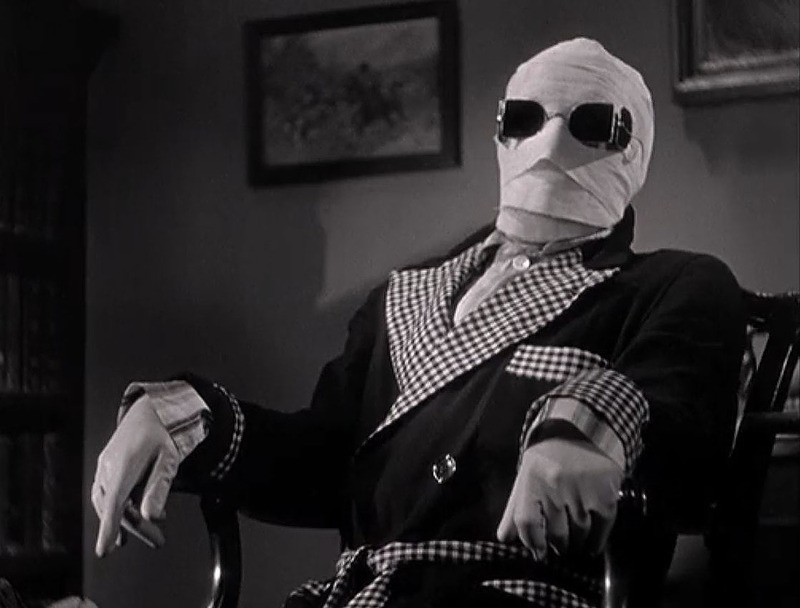 The studio is planning an "Invisible Man" movie. Johnny Depp IS NOT attached to this new version at all, and this film will NOT be attached to the Dark Universe. In fact, if this new Invisible Man movie does well, they will make several individual movies based on their classic monsters. But apparently, the plan is NOT to have the movies connect. Universal is going in with Blumhouse Studios, which is THE studio for horror movies right now. So perhaps Universal can make a real go with it. The other thing is Universal tried to revive these characters with "Dracula: Untold" in 2014, which was going to be the start of a huge monster franchise. But "Dracula: Untold" came up short. Then in 2017, as I stated above, the Dark Universe failed. So I wonder why Universal can't get the hint that maybe the 21st Century just doesn't have a place for these characters anymore? Or maybe people think putting these characters in the modern world is cheesy? Who knows. Fire away in the comment section below. I just don't see why Universal is trying to make these characters happen if they just aren't working. Whether you want him or not, "The Invisible Man" is on his way!